Nothing is more tragic than a fatal accident, due to someone else’s recklessness or negligence. While money can never make up for the loss of a life, a successful lawsuit will help you pay for funeral expenses, medical bills, lost wages, and more. If your loved one contributed to your family’s income, you may need to consider pursuing a legal claim in order to pay your bills and provide for your family’s future. 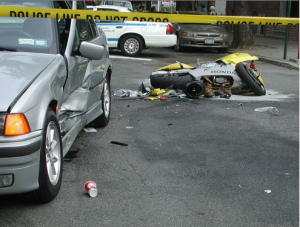 Should you decide to pursue a fatal accident lawsuit with the Law Office of John C. Fitzpatrick, you will pay no attorneys’ fees unless they recover compensation for you. A wrongful death lawsuit may involve automobile accidents, trucking accidents, workplace accidents, or any other type of accident. It is not the type of accident resulting in the wrongful death, but the negligent actions of another person. An experienced Durham attorney can help you understand if you entitled to compensation. The fatal accident attorneys at the Law Office of John C. Fitzpatrick are compassionate lawyers who will be sensitive to your loss while aggressively pursuing just financial compensation in your case. They will fight hard to ensure that you receive every penny you deserve. Filing a wrongful death lawsuit will not bring back your loved one, but it can help you and your family find justice and prevent similar accidents from happening in the future. These are emotionally challenging times and understandably difficult to think about filing a lawsuit to hold the negligent party responsible. That is exactly why the insurance companies will ask you to sign forms and accept a small settlement while you are distraught. Those are attorneys are protecting the interest of the insurance companies. The Law Firm of John C. Fitzpatrick will protect your interest. Call 919-683-9500 today if you’ve lost a loved one in a fatal accident.